Do you Enjoy a Cozy Mystery? Meet homeschool mom and amateur sleuth, Maggie King. Maggie stays busy educating her children at home, leading a homeschool co-op with Sophia, leading worship, and ministering to ladies at her church. How does she find the time to go on one adventure after another? You will enjoy hanging out with pastor's wife Maggie King and her family and friends. They are just your typical homeschooling families, except for the fact that they keep stumbling across dead bodies. Did Maggie Find a Dead Body after Church? Everything seems perfect for Pastor Matt and his family. They are heading off soon for their much-needed dream vacation in Perdido Key, Florida when a childish prank leads to some frightening revelations. ​What is going on at Brand New Start, the drug rehab center where their church meets on Sundays? Before you know it, Matt and Maggie, with their children and friends are unraveling a mystery when they stumble upon a dead body after church when Sophia’s van won’t start. As things come to light, Nick and Sophia join Matt and Maggie to uncover the truth before someone else gets hurt. Will their quest for integrity lead them into danger? Join with pastor’s wife and homeschooling mom, Maggie King and her family and friends as they match wits with a suspect who is getting away with murder. Purchase the Print Book, Drug Dealers' Deadly Disguise, on Amazon. 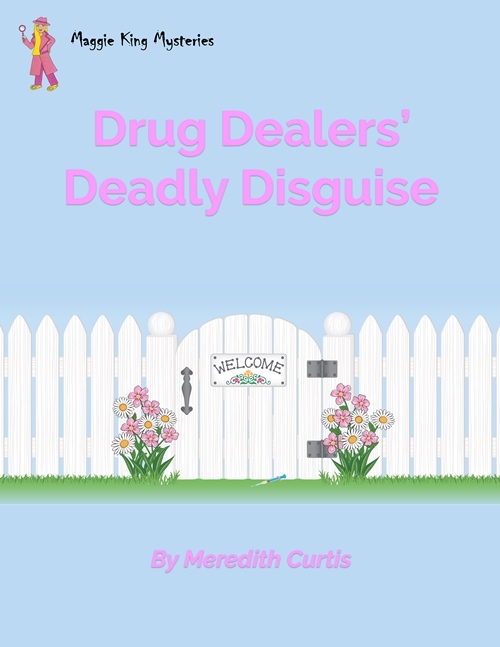 ​Purchase the Kindle version of Drug Dealers' Deadly Disguise, on Amazon. People Die during Hurricanes--How do you know it's Murder? 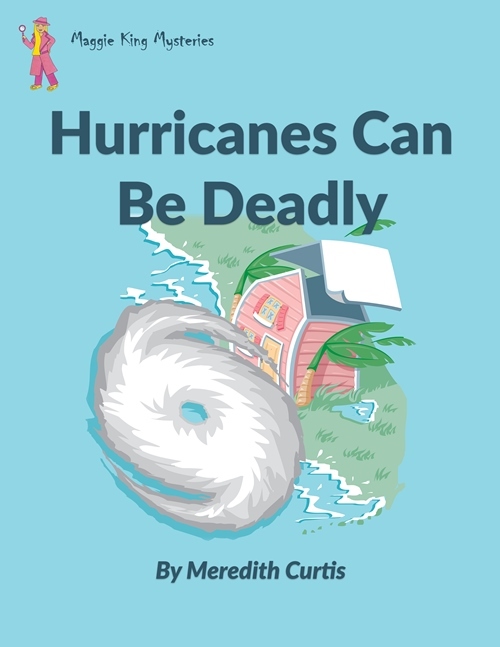 When Sophia and Maggie plan a unit study on Florida for the homeschool co-op, they hope there is at least one small hurricane that hits Central Florida. Instead there are three big ones: Charlie, Frances, and Jeanne. Meet little Billy who thinks he murdered his mom and meet Billy’s uncle Thad. Or is Thad his uncle? Maggie is trying to teach her Sunday school class about the very first candy cane when the adventure begins. You see, it’s Christmas time and the homeschool co-op is putting on the church Christmas play this year with Maggie helping her friend Sophia direct the extravaganza. First, she has to head south for her grandmother’s 100th birthday. Even there, the adventure continues. Purchase the Print Book, Legend of the Candy Cane Murder, on Amazon. 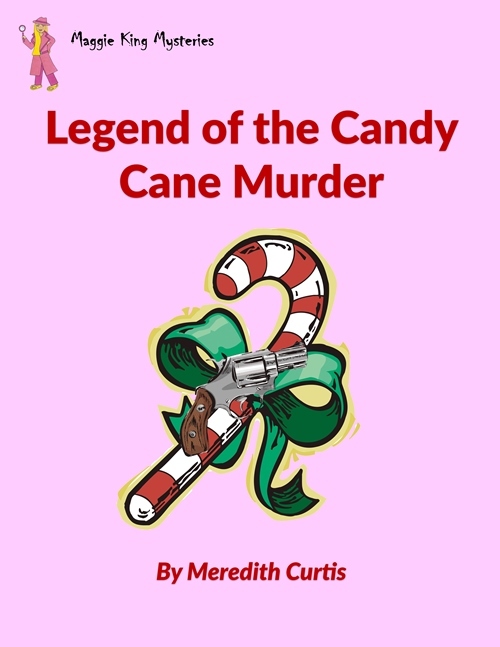 ​Purchase the Kindle version of Legend of the Candy Cane Murder on Amazon. It's a typical day at the hair dresser for Maggie King. 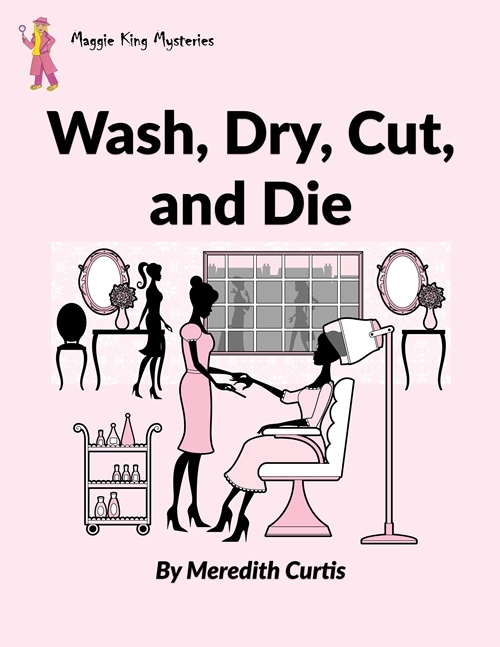 She just wants to cover her gray roots, but instead she stumbles across a dead hair stylist. Maggie and her homeschool co-op are learning about the War of the Roses, a confusing time in English history. When Maggie finds a dead body just before sound check, she gets entangled in a real War of the Roses that is just as confusing. In between throwing a wedding shower and blowing up her kitchen, she will have to match wits with the dark world of drug dealers and spies to bring a killer to justice. Join pastor’s wife and homeschooling mom Maggie King and her family and friends as they match wits with a murderer who is hard to uncover. You will love hanging out with Maggie and her family and friends. They are just your typical homeschooling families--learning, exploring, and unraveling mysteries. Maggie King, worship leader and homeschool mom, and her husband, Pastor Matt have seven children: Joel, Bethany, Steve, Sheree, Amy, Stephanie, and Jordan. Along with her friends, Sophia and Mary-Kate, Maggie is often hot on the trail of a murderer. Join Maggie, her family, and friends on their adventures. See if you can uncover the murderer before they do. Purchase the Print Book, War of the Roses Mystery, on Amazon. 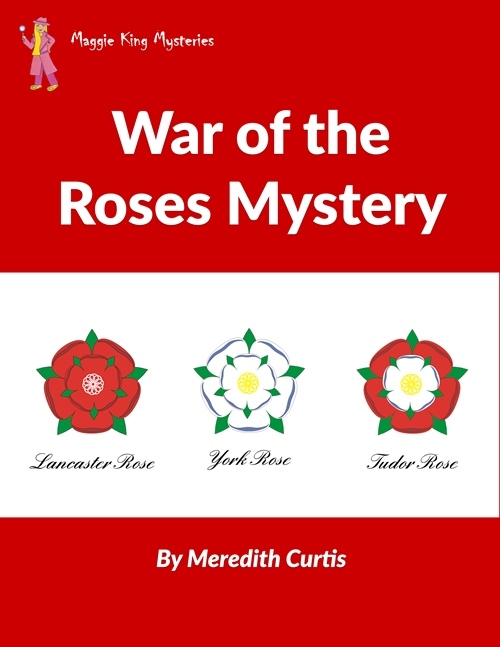 ​Purchase the Kindle version of War of the Roses Mystery, on Amazon. Maggie heads off with her family to the Georgia mountains for vacation and to speak at a homeschool convention. There is one surprise after another and it turns out that murder is on the schedule. Maggie and her husband, Pastor Matt, help the local sheriff track down a killer. Who could he or she be? Not someone from the prestigious Hile family! They are as close to royalty as it gets in Georgia. ​Could it be someone closer to home? Join with homeschooling mom Maggie King and her family and friends as they match wits with the murderer who is painting the town red….with murder! Purchase the Print Book, Murder in the Mountains, on Amazon. 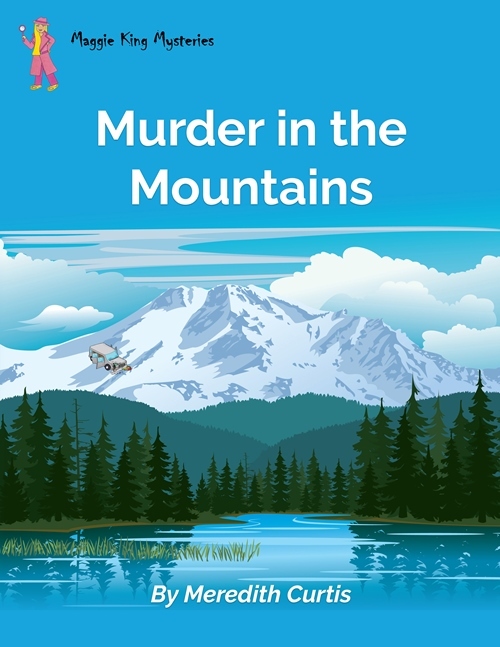 ​Purchase the Kindle version of Murder in the Mountains, on Amazon.